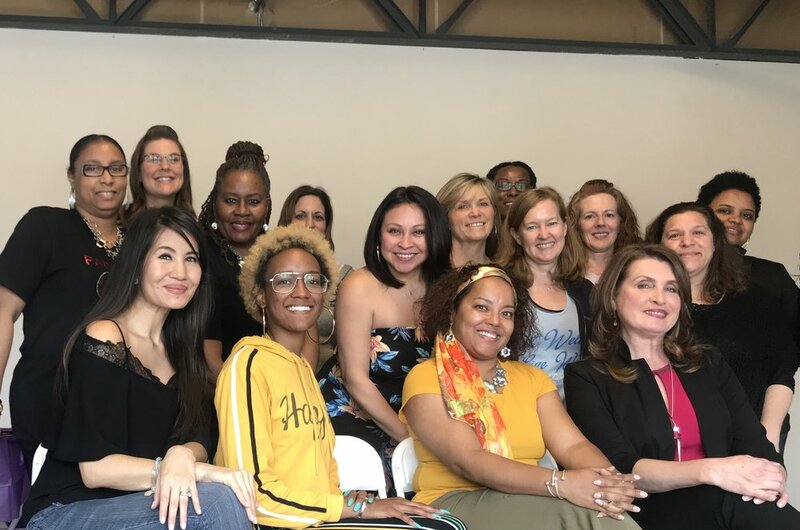 The 2019 Goddess Workshop at the Women's Day Retreat at The Zen Lounge in Manassas was outstanding! Yoga, meditation, noshing on the most delicious plant-based lunch, wellness vendor exhibits, impromptu soulful singing, fun dancing, self-care tips, life coaching, real-you talk, & more. This yearâ€™s Goddess Workshopâ€™s proceeds directly benefited women in a local shelter. Ebony Lambert (One With Ebony), Eileen Carlucci (Redesign Your Life, Life Coach), Liz Strom (Life/Career Coach and Founder of The Goddess Workshop), and Endira Stewart (SolJars) facilitated the dayâ€™s workshops and perspective-shifting talks. Such a talented group of powerhouse women! Look out for what @zemzevents has in store: top-notch, authentic, heart-centered, beauteous times ahead! Â©2011-2019 Liz Strom & Creative Calm Solutions LLC. All Rights Reserved.